Several plant species have been added to the flora of Assynt during 2018, and my garden at Nedd (NC1331) has contributed one of them. The warm dry summer and September rains resulted in a prodigious growth of ‘native species’ (i.e. weeds) in my vegetable beds, which I did not get around to clearing until quite late on. 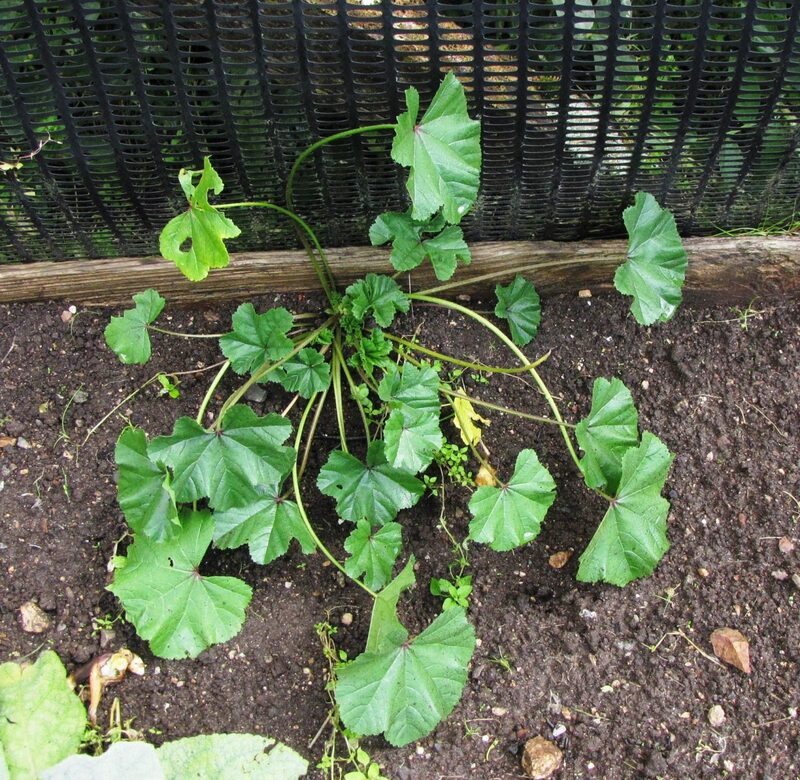 Hiding at the back of a very weedy, albeit productive, crop of onions was a plant with large rounded leaves which had dark purplish-red centres. I recognised it at once, but had not seen it for many years. 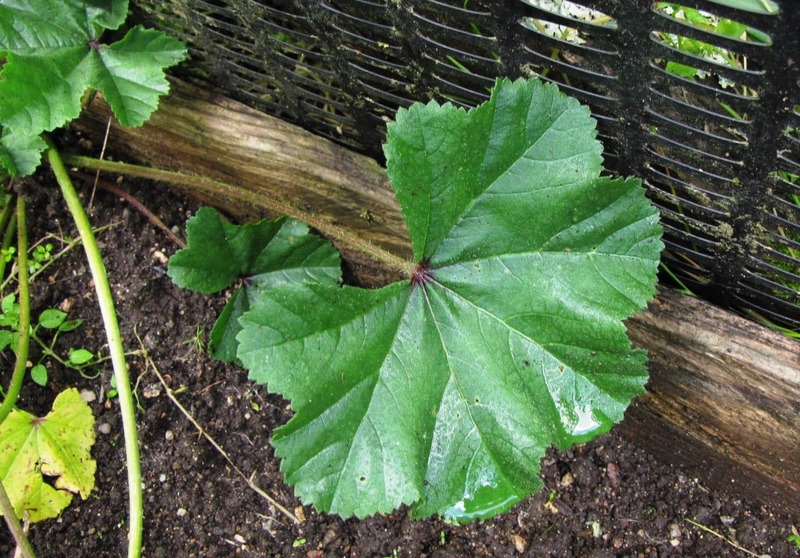 It was common mallow Malva sylvestris, a sprawling perennial with stems that may extend for a metre or more and bright pinkish-purple flowers up to 40mm across. It is an archaeophyte, originally introduced to these islands, but naturalized prior to A.D. 1500. The New Atlas of the British and Irish Flora (2002) describes it as ‘a drought-tolerant perennial herb of well-drained, often nutrient-enriched, soils in unshaded situations…often near settlements’. The distribution map in the Atlas shows it as occurring throughout England and Wales, but becoming much sparser in Scotland and absent from the north and west, except for one pre-1970 record from near Ullapool. There are, so far as I know, no previous records from either Assynt or West Sutherland as a whole. I have not the faintest idea how it arrived in Nedd, since I have not imported any soil or other likely seed source in years. My one plant did not flower this year, so I photographed it on 15thSeptember and have spared it, in the hope that it may do so next year.